Students were joined by their parents and received certificates from Michael S. Eesley, CEO of Centegra, and Dr. John Burkey, Superintendent of Huntley 158. 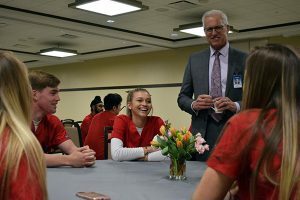 The program, believed to be the only of its kind in the country, placed students in rotations in more than 20 departments of the new Centegra Hospital-Huntley for at least 2.5 hours a week throughout the past school year. 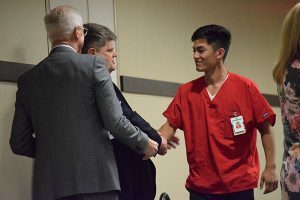 In addition, students received mentoring from Centegra healthcare professionals and supplemented their hands-on learning with academic coursework. 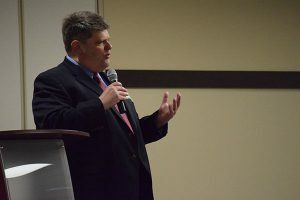 The program has received national media attention and has inspired other school districts to examine adding similar programs. 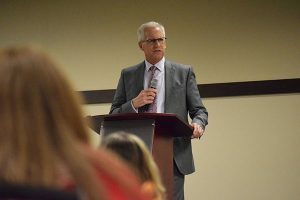 Both Burkey and Eesley said in their remarks that they hope the students build off of the experiences they had in the program to continue their studies in health sciences and ultimately enter professions that will come back to benefit the Huntley area. Senior Ashlen Pickett told the Northwest Herald that the experience had a profound impact on her future plans. 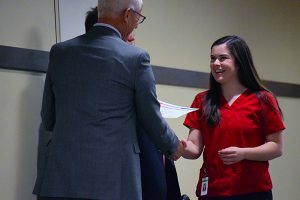 Originally planning to study biomedical engineering, Pickett said her experience shadowing a nurse showed her a different side of healthcare that she now plans to pursue. 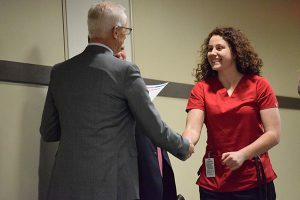 She has received a scholarship to study nursing at Drexel University in Philadelphia, an accomplishment she attributes largely to her experiences in the Youth Residency Program. Other members of the class have received admittance to selective post-secondary programs and scholarships at colleges and universities including the University of Iowa, University of Illinois-Chicago, Duquesne University, Baylor University, and others. You can read more about the students’ first-hand experiences at the Residency Reflections Blog.